Please select skirt size ... Small : fits 60 - 75cm waist. Medium: fits 75 - 90cm waist. Large : fits 90 - 105cm waist. XLarge: fits 105 - 120cm waist. Click, Tap n Share White red polka dot rock and roll skirt! The white red polka dot full circle rock and roll skirt is made from premium grade 100% cotton and has a retro red polka dot print. The red polka dot rock and roll skirt is approximately 65cm long and has a 30mm wide stretch elastic waistband and is available in sizes S, M, L and XL. Small size skirt fits 60cm waist and will comfortably stretch to 90cm. Medium size skirt fits 80cm waist and will comfortably stretch to 100cm. Large size skirt fits 90cm waist and will comfortably stretch to 110cm. Extra Large size skirt fits 105cm waist and will comfortably stretch to 130cm. Remember... the waist measurement is the only measurement required for the correct sizing of the red polka dot full circle rock and roll skirt. Being a genuine full circle skirt the hip measurement is irrelevant. To create a fuller bodied red polka dot skirt our rock and roll petticoats are perfect for adding a little extra body to the skirt, whilst providing a little swirling surprise on the dance floor! A petticoat is a ladies funderwear secret and should never be seen peeping below the hem! A petticoat should never be attached to a skirt permanently and should never be simply netting attached to a skirt hem! OH My! Only when your skirt is in full swing and full flight on the dance floor should a petticoat be seen... and only be seen to add a flash of brilliant colour to your twirls, swirls and turns, or a to add a fuller flirty fashion look to your rock and roll costume, rock and roll skirt, or to your classic retro dress! 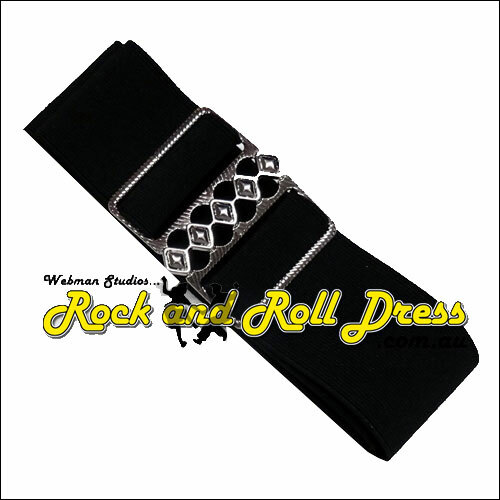 The rock and roll dress 62-65cm length petticoat will sit slight shorter or equal to the hem depending where the petticoat sits around your waist. Adjusting the position of where the petticoat sits around your waist will allow you to make minor adjustments to the length of the petticoat. Made from premium quality cool and comfy cotton. Wide comfy elastic waistband that can stretch for a more comfortable fit. red polka dot full circle rock and roll skirt is approximately 65cm long. Limited Time FREE Bonus: matching red polka dot neck scarf valued at $9.95! The red polka dot full circle rock and roll skirt is pictured with Classic Ringer T-shirt and adjustable cinch belt are shown for style and photographic purposes and are not included. 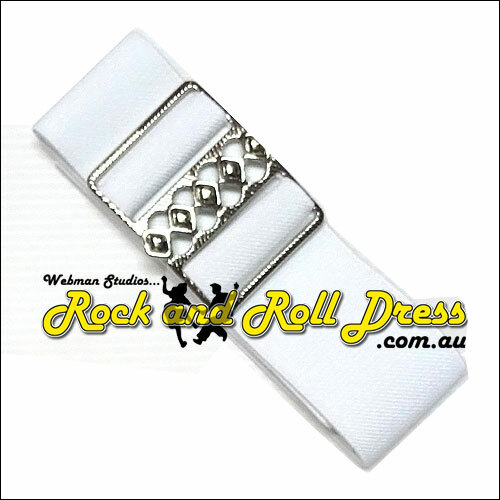 The adjustable cinch belts are available separately. Iron on medium to hot iron setting. The red polka dot full circle rock and roll skirt is part of the Rock and Roll Dress Retro-Vintage collection!